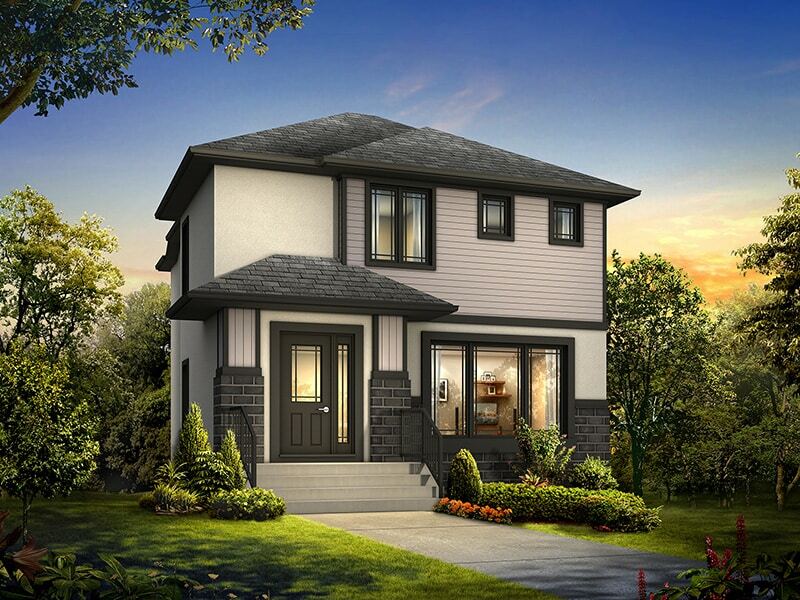 The Woodside is a two-storey, 1417-square-foot home designed specifically for a laned lot and comes equipped with three bedrooms and 2 1/2 bathrooms. The Woodside is located in both Bridgwater Trails and Crocus Meadows. Its executive kitchen is designed with stained maple cabinetry, an enlarged custom island and with a tiled backsplash. Log in or sign up to instantly see The Woodside. Square Footage: 1,417 sq. ft.